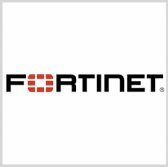 Fortinet has joined the World Economic Forum’s Center for Cybersecurity as a founding partner in a move to help deter cyber crime. WEF established the center to encourage collaboration among members of industry, government, international organizations, academia and civil society to address global cybersecurity challenges, Fortinet said Wednesday. Ken Xie, CEO and chairman of the board at Fortinet, said the company looks forward to collaborating with leaders from the private and public sectors worldwide to help them secure their organizations. Xie will serve as a member of the center’s advisory board and lead a discussion about workforce at WEF’s annual meeting that scheduled to take place Jan. 22 in Switzerland. Fortinet is also a founding member of the Cyber Threat Alliance an expert working group member within INTERPOL. The company formed a two-way data sharing partnership with NATO’s Communications and Information Agency in 2016 as part of cybersecurity efforts.